Shahriar (Shah) Chowdhury currently works in finance and is an MBA student at the Smith School of Business, University of Maryland. 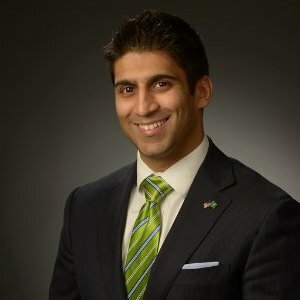 Shah has been active with IAVA on Capitol Hill on veterans’ issues such as the Post-9/11 GI Bill and veterans suicide. He has been interviewed on MSNBC and Fox-5 DC on several occasions as well as quoted in newspapers such as the Washington Post and The Guardian. Shah served four years as a US Army Field Artillery Officer with a 15-month deployment to Baghdad. In his spare time, Shah actively trains in Brazilian Jiu-Jitsu.